Gifts for all at The Royal Cheshire County Show! 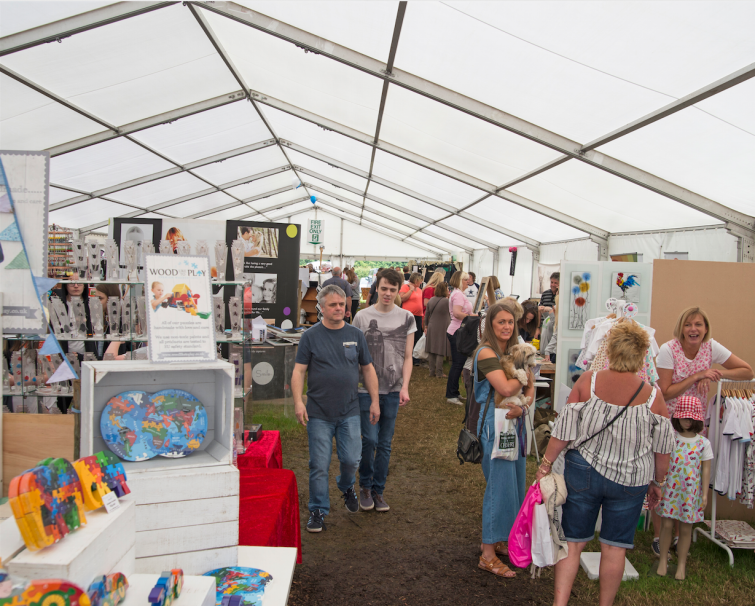 The Royal Cheshire County Show are proud to present an excellent selection of gifts for your browsing pleasure at this year’s show. Whilst visiting the many stands you can be sure to find the perfect gifts for your loved ones or for those all important special occasions. Popular choices are sure to include Sally Belinda’s illustrations and embroidered textiles, which have been inspired by the beautiful Cheshire countryside and its animals. A winner in 2014 of the Country Life Magazine talent competition, Belinda’s products are all lovingly hand made using Organic cotton woven. If jewellery is more your thing, then a visit to itsAlchemy is a must! Here you will find bespoke items of jewellery that can be personalised upon request. For the beauty-conscious, make sure you visit the award-inning, hand made natural skin care stand- Natural Skin Care where you will find a range of creams, gels and lotions, all made in Cheshire! Whatever your taste, we’ve got it all at The Royal Cheshire County show, we are looking forward to seeing you there!